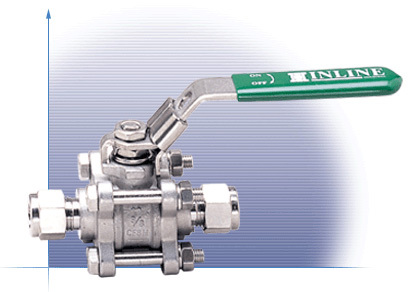 The 302C Compression Ends ball valve delivers exceptional performance and economy in a 3-piece design. Full porting improves flow rates and minimizes pressure drop through the valve. Our unique metal-backed seat design enhances overall valve performance while our live-loaded stem packing automatically adjusts for wear and thermal variations.